As Vice President of Operations, Jens C. Hennig is responsible for GAMA’s activities for safety, security and operations. He is the association’s primary staff person on Air Traffic Control (ATC) modernization and issues affecting manufacturer flight operations. Jens’ engagement in policy and rulemaking committees covers a range of topics including ADS-B, air traffic management, landing and takeoff performance, and rulemaking cost analysis. He chaired FAA’s airman training and testing standards rulemaking committee which developed the new framework for pilot training in the United States and also managed the agency’s review of the Part 135/125 regulations. He promotes the General Aviation Joint Steering Committee as an essential body to advance GA safety based on data- driven, systematic processes, and serves as its Safety Analysis Team’s Co-chair. Jens also chairs the U.S. Transportation Security Administration’s Aviation Security Advisory Committee (ASAC) general aviation subcommittee and served as co-chair of FAA’s Aircraft System Information Security / Protection working group on cybersecurity. 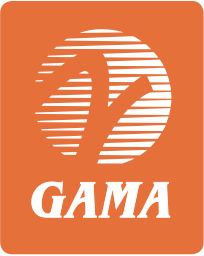 On the legislative front, Hennig provides technical analysis about security, funding, and ATC modernization to GAMA’s government affairs team. He has testified about NextGen and homeland security before the U.S. Congress. In Europe, he has been a member of the European Aviation Safety Agency’s (EASA) Flight Standards subcommittee since its formation, focusing specifically on the agency’s extension of scope and the establishment of a safety agreement between the European Union and the United States. 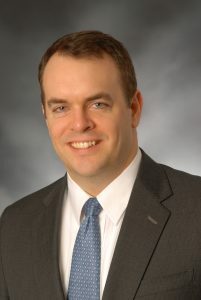 He served as chair of EASA’s Operational Suitability Data rulemaking group and a member of the committee that developed standards for operating single engine airplanes in commercial service. Previously Jens served as the GA manufacturing industry’s representative on the JAA Operations Sectorial Team. Hennig is actively involved with advancing data collection for the general aviation industry and frequently presents overviews of the state of general aviation. Having joined GAMA in 2003 as Manager of Operations after a stint as manager of flight operations for contract training at Embry Riddle, Jens has advanced to Vice President, Operations. Originally from Örnsköldsvik, Sweden, he holds a Bachelor of Science with honors in Aerospace Engineering from Embry Riddle Aeronautical University and Master of Business Administration in Aviation. Jens serves as the staff contact for GAMA’s Flight Operations Policy Committee and the Security Issues Committee. Reach Jens at +1 202-393-1500.